Long term, Activision has plans to introduce in-game ads throughout its titles. "Over the summer, Tencent noted that Chinese government regulators had mostly halted approval of new game releases in China starting in the spring, not allowing the release of paid games in the country. That evolved into a push for greater control of and limitations on games developed for children and concerns of addiction to video games. Tencent has since reduced its marketing budget but still saw a strong third quarter." 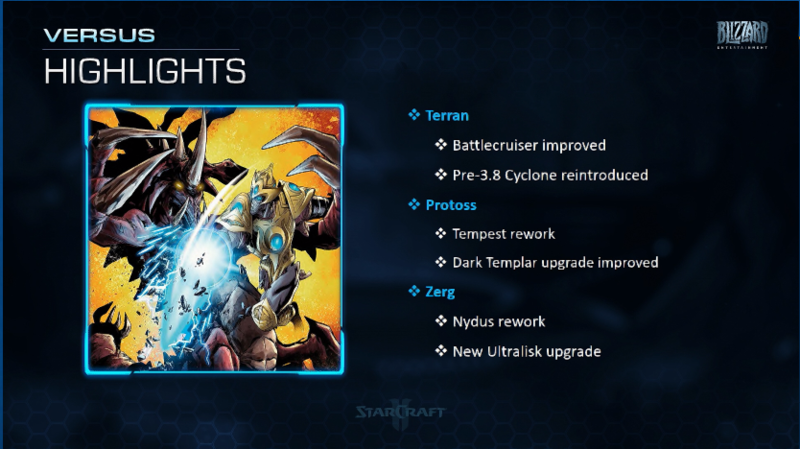 Patch 4.8.0 is out with numerous bug fixes and no nerf in sight for the Protoss. Dota 2, Starcraft II, Tekken 7, Arena of Valor, and Mobile Legends confirmed as esports to be played in the SouthEast Asian Games in late 2019, the first time that esports will be a medal event in a major sports competition. SoulKey defeated Sharp to win Season 2 of KSL, the Blizzard Starcraft ReMastered tournament. SoulKey had not won a Championship before. Byun, the 2016 BlizzCon Champion who has suffered extreme wrist problems of his own this year, announced he is going to retire and depart for mandatory military service in January. The 2019 SEA Games will mark the first time that esports will be a medal event in a major sports competition. This week, SoulKey defeated Sharp to win Season 2 of the Starcraft ReMastered tournament, KSL. This is a Blizzard sponsored tournament along with the other SC BroodWar tournament the ASL. SoulKey had not won before but has been getting farther and farther in the rankings every season so good for him. No word yet on the new War Chest that is to be out in December. War Chests typically contain a new set of racial skins and a digital comic book to unlock by playing the game, either vs AI or players, and the first $1 million in proceeds goes towards prize pools for the major tournaments and other unknown related purposes. 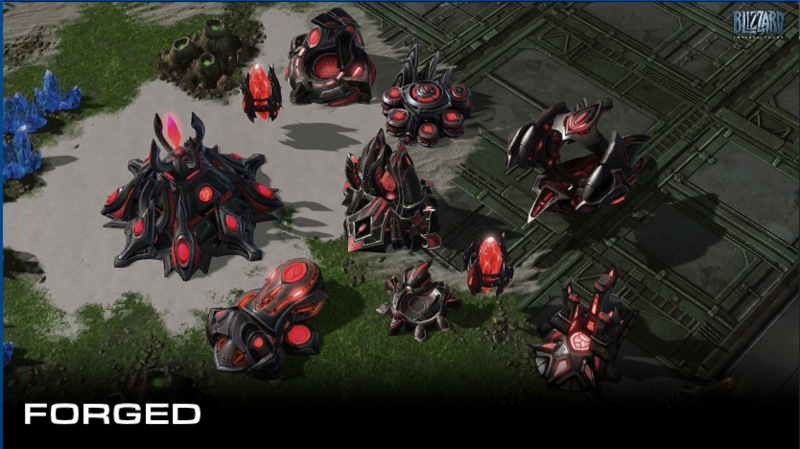 Another SC comic book mini series is coming out in late January, Starcraft: Soldiers. Various Community organized tournaments are going on daily and weekly. One of the bigger LANs Cheeseadelphia 8, just ended with an upset by Future, a 16 year old to keep an eye on for the future after defeating MaSa and #4 ranked in the world SpeCiaL. 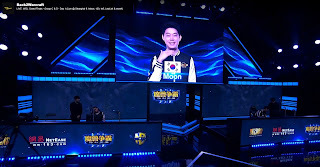 Most of those foreigners planning to make a GSL run in early 2019 are back in Korea or soon will be, at the ROOT - Unity House to practice their butts off. GSL and WCS dates are not yet announced other than IEM Katovice but should be any time now. 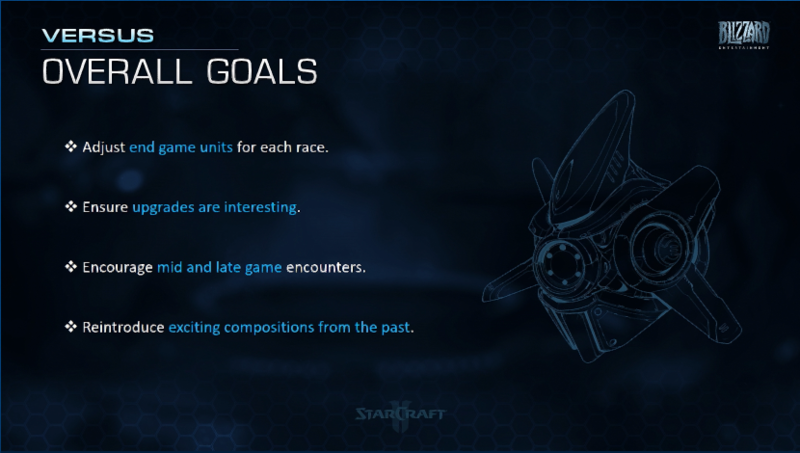 The SSCAIT Starcraft AI tournament should start up again soon for season 7 once classes are back in session. The practice ladder is still dominated by SAIDA, the bot entry from Samsung Corporation. SAIDA won the internal Samsung competition to become their official entry over the autumn. FaceBook's bot, CherryPi, is hovering around 4th last I looked. 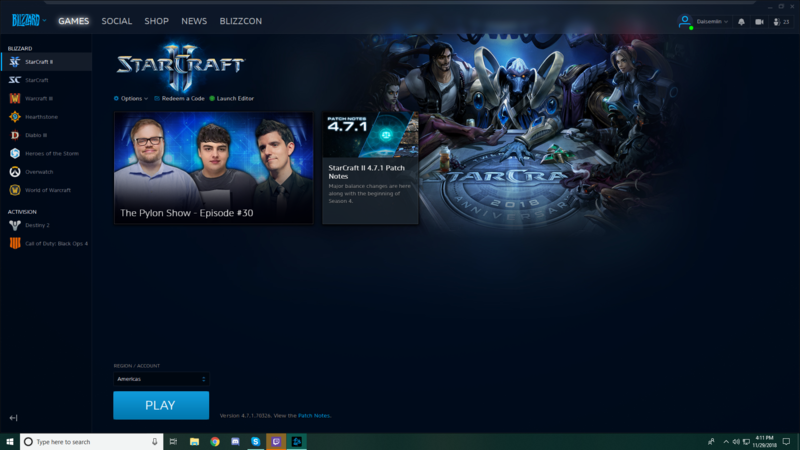 The Pylon Show On The Blizzard Launcher! 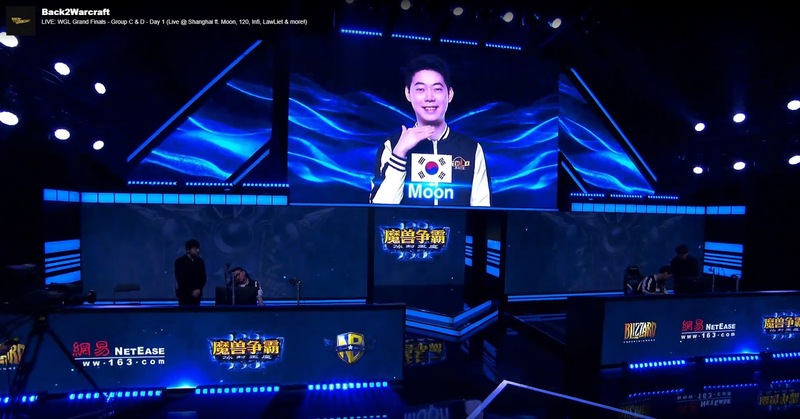 Starcraft This Week: World Electronic Sports Games Qualifiers are ramping up at the national and Regional level, to compete in the Global Finals in China in March for a huge payout. Hearthstone, CS:GO and 3 other games will all compete there. TESPA Collegiate Starcraft Tournament was won by printf, who broke into the top ranks just in time to qualify for the Finals and won a $7500 scholarship for his effort. Cheeseadelphia 8 is finally here and MCanning knocked Neeb out of the tournament with a 3-2 victory over the favorite. This week's guests, Nathanias, Rotterdam, Maynarde and Neuro! The last episode of the year. With beverages! Hearthstone is sure to be one of the 6. It was in both trials, its nonviolent, its popular, and I think it has girls playing at high level. The IOC liked that when Scarlett won Pyeongchang, that it wasnt a white male. Starcraft II and Hearthstone players have been competing for months in over 40 nations to qualify. 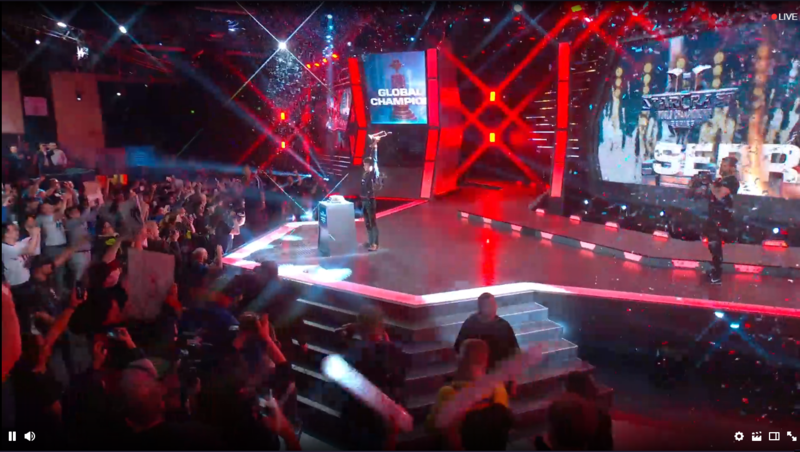 The Global Finals will be in Shanghai China in March 2019. JustSaiyan is the US Hearthstone winner. Canada Qualifier Finals play Live at Scotiabank Theatre Toronto on December 2. Hangzhou’s government plans to invest up to $1.26B across 14 esports projects by 2022, including an esports academy, hotel, office park, and hospital. After a demonstration event at the 2018 Asian Games in Jakarta and Palembang, Olympic Council of Asia (OCA) director general Husain Al-Musallam said esports still requires a single international federation before it can be fully included. The Warcraft III Golden League Winter Tournament was won by Moon over Ukrainian born Foggy! The Warcraft Gold League 2018 Winter Season is the second part of the most important individual tournament in 2018. With one the biggest prize pool of the year ($21,655) and the obligation to earn his place via a qualifier tournament, this is the most prestigious event in the scene. It is organized by Blizzard Entertainment's Chinese partner : NetEase, played at Shanghai, offline. During November, the very best players of the world will fight in a double elimination groupstage before going into the single elimination playoffs. "Last quarter, on average, 345 million people played our games each month and our players spent a record 52 minutes per day playing Activision Blizzard and King games. " "Third, the expansion of our existing franchises on to mobile, the world's largest platform and the creation of new franchises. And fourth, new and growing franchise engagement revenue models such as esports leagues and digital advertising." "Now, not all our franchises are experiencing the momentum we see in Call of Duty and Candy Crush and we have to improve the pace of innovation and the cadence of in-game content. " "Mobile remains the largest and fastest growing platform for gaming in the world and while King is a clear leader in mobile, we're still investing in Activision and Blizzard franchises for mobile releases." "These are just two of the many mobile initiatives under way across Activision and Blizzard. And King Mobile expertise is now being shared throughout the company, so our beloved PC and console franchises can expand their reach." "Overwatch League is already well into planning its second season and we are actively advancing how the league model and infrastructure will be applied to Call of Duty and other franchises. " 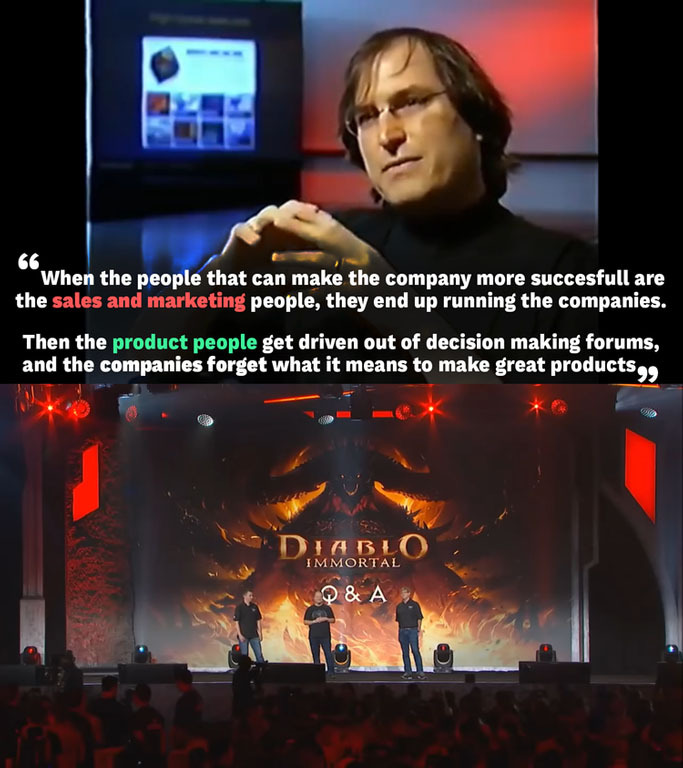 "At Blizzard, monthly active users were 37 million consistent with the prior quarter. " "Next year, Blizzard will celebrate World of Warcraft's 15th anniversary with events both in and out of the game." "As I said earlier, some of our franchises are underperforming relative to the opportunity that we see including our live operations capabilities and we will continue to push innovation and new content to drive stronger engagement and in-game revenue generation." "And we'll continue to invest in the reach of the different franchises that we have to acquire more players globally across all platforms including PC, console, and mobile. " "We have some classic battlegrounds from World of Warcraft that we are remastering and we're going to add some seasonal content as well." "Later planned updates are going to add new zones, dungeons, and raids for people to explore an additional PVP arena. " Blizzard has officially announced that WarCraft 4 is not happening anytime soon, but as the company is instead working on a "Warcraft version of Pokémon Go, which is in development for smartphones now. This information comes from a report published earlier this week by Kotaku. The AIIDE Starcraft AI Tournament was won by SAIDA, the Starcraft AI programmed by a team at Samsung in South Korea. 2nd and 3rd place went to the FaceBook team's AI and a group of Chinese researchers. SAIDA is currently leading in the long running SSCAIT tournament. TESPA Collegiate Starcraft Tournament completed its 8 week ladder series. Playoffs begin Dec. 1st, noon Pacific, Saturday and Sunday. The Starcraft 1 KSL tournament has revved back up post BlizzCon with the Round of 8 next week. Blizzard's long awaited 20th anniversary tournament in Russia was won by the top 3 Koreans, Sharp, Shine and Miso, to noone's surprise, and lastly HomeStory Cup in Germany begins in 1 week. Starcraft is back now that everyone is home and semi recovered and the new season starts on November 20th. The new maps have been posted as well on Team Liquid. WESG qualifiers continue world wide throughout November including tomorrow the USA finals in California. Tickets are free. WESG is a super huge annual event in China handing out a ton of cash. Blizzard's ANZ ProLeague team tournament Down Under began today. Blizzard's long awaited 20th anniversary tournament in Russia is finally about to begin and HomeStory Cup begins in 1 week. This week's guests, Nathanias, Catz and Neuro! In other news I read a private report today that showed that less than 3% of under 20's watch traditional sports on TV. In comparison, more than 38% watched esports online. The Warcraft III Golden League Winter Tournament will start at 16:30 on November 28. This is the first Golden League offline match after the 1.30 version is launched. The top 24 players from Europe, America, South Korea and China will compete for the championship and rich prizes from November 28th to December 8th. Open your packs, hang out with Hearthstone Creative Director Ben Thompson & more at Australia's only Pre-Release party for Rastakhan's Rumble - 1 December at Good Games Top Ryde City. Reserve your ticket here, strictly limited spots available! 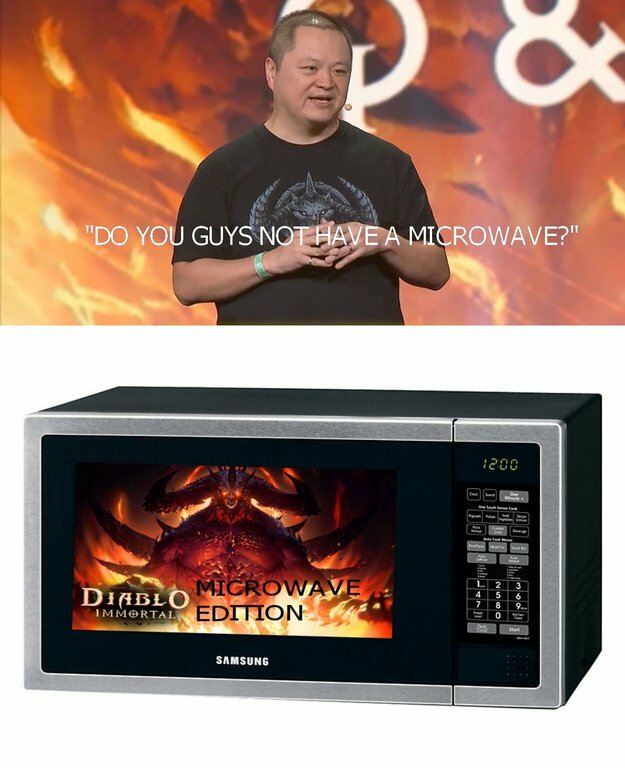 If this is true, and it probably is, its probably going to be other Blizzard games coming next. 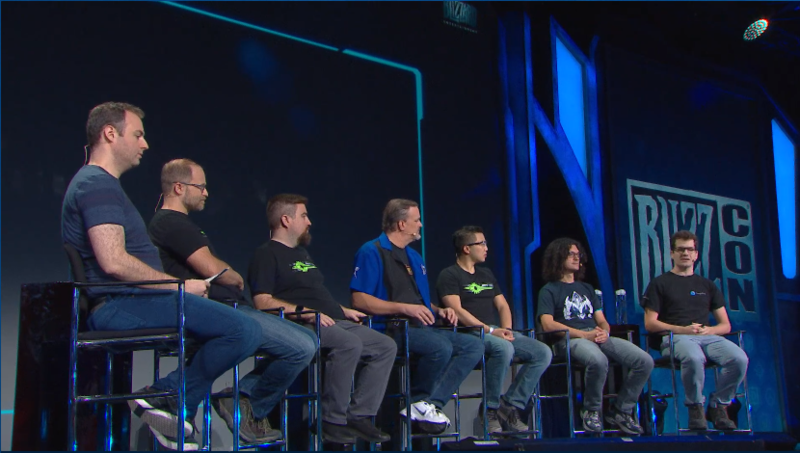 We interviewed Pete Stilwell, Senior Producer of @Warcraft3 and discussed the current progress, design philosophies, esports, mapmaking and more. Also, as a B2W exclusive, Pete reveals a new feature for the game! 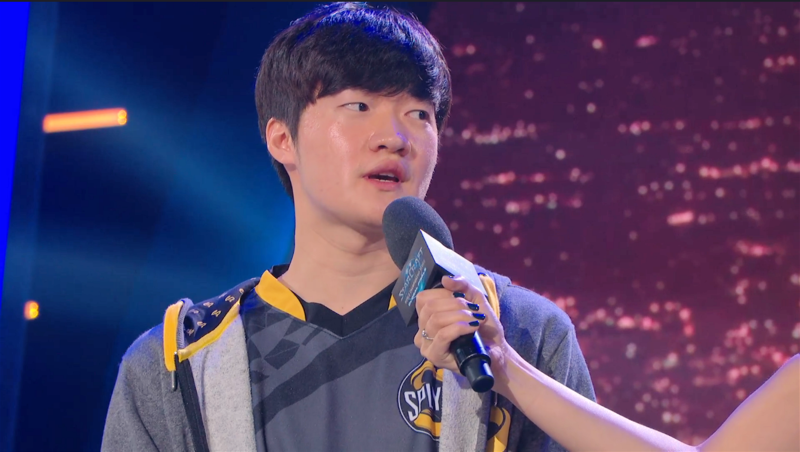 Stats, the Korean Shield of Aiur, wiped out SoS 3-0 as the opening match of the Quarter Finals, and between Rogue and Serral is looking forward to facing Serral because of their hard fought 4-3 match at GSL vs the World where he barely lost. This is Stats first time in the Global Finals despite many years as a Champion elsewhere. Coming up, Rogue, the defending Global Champion, versus Serral, the most dominant foreigner Starcraft has ever seen. 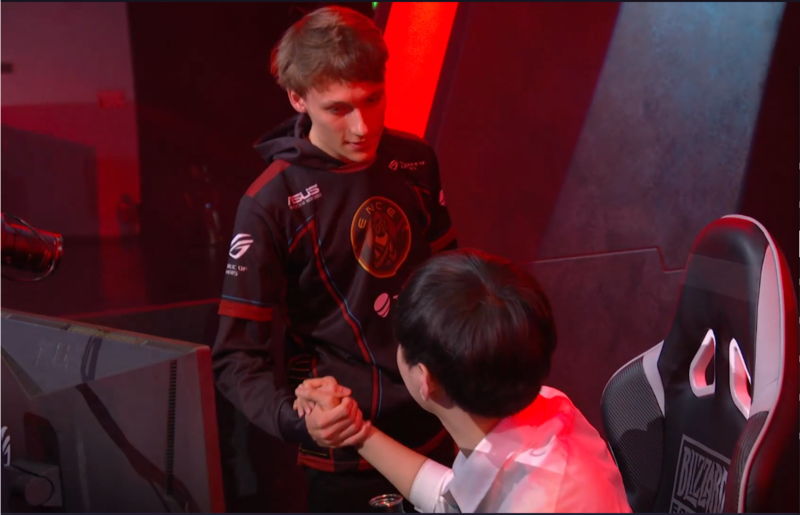 Serral took match 1, finding a gap in Rogue's wall off of his natural and exploiting it over and over but when match 2 came Serral went for a fast zergling all in and for an exciting few minutes Rogue's Queen went down and lings swarmed each other in a frenzy in Rogue's natural. Counterattacking Serral's natural, both had to pull back but Serral only regrouped with reinforcements and was back in, straight into Rogue's main but had to tap out. Match 3 Rogue's lings went on the aggression but couldn't quite get through Serral's wall off and Serral's banelings decimated chunks of Rogue's army and barely saved his third. With his economy behind, Rogue started to retaliate but gave up mid push and Serral went to match point! Both players teched up towards the late game with the exact same build. Serral shut down Rogues baneling drops with minor losses in his drone line but his roaches kept Serral busy for far too long. Serral found Rogues Ravagers in the open and murdered them, then chased his lurkers home but his own lurkers were waiting and caught them in the cross fire! Serral muscled into Rogues territory and got his lurkers down. The two ripped into each others bases but Serral got vipers first. He took out Rogues Nydus immediately but the second one got in and the third in an incredibly bloody knife fight back and forth. 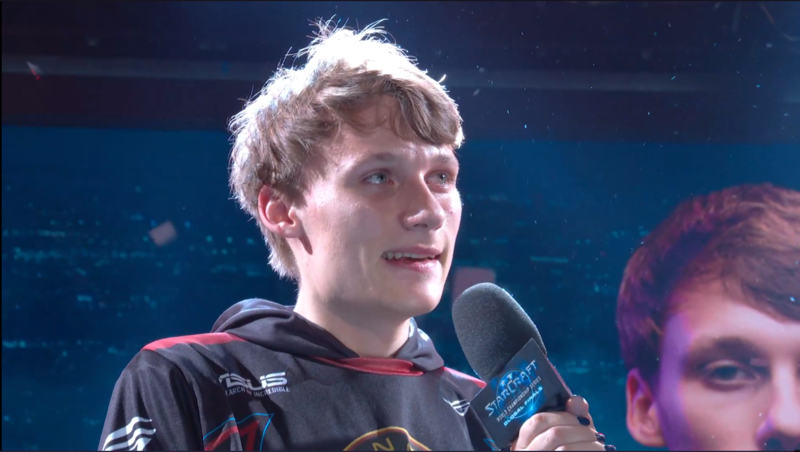 Rogues lurkers kept sneaking in and hurting Serral's bases and his larger army was kept busy with incessant attacks but he sniped some of Rogues army, not enough, as the blood shed dragged on as he slowly wore Rogue down with paper cuts and incredible level of patience that have won him at least two titles this year coming back from behind inch by inch as the blood just kept flowing. 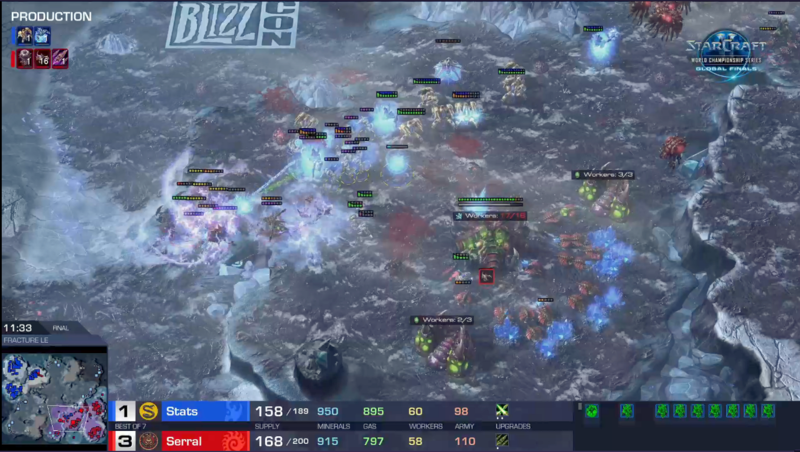 Serral found more hydras alone and murdered them as his army just kept growing, so close to moving on to the Finals! The Finnish Hydras sniped Rogues bases cutting his ability to replenish his gas units. 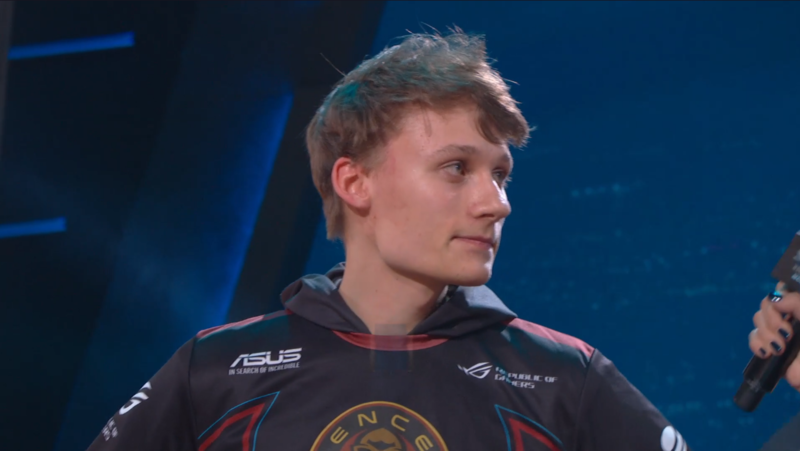 Rogue cut down Serral's last mining base and tried to find someplace, any place, to get an edge but the surround caught him first and Serral is the first foreigner to ever be in the Global Finals! The best of 7 began with an unusual proxy from Stats just outside Serral's natural. 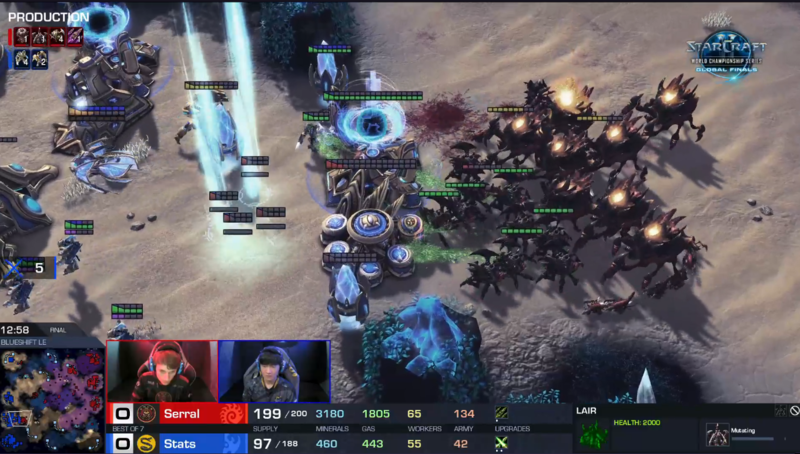 Stats was the first into the enemy base with twin zealots and an oracle but Serral's fast lings broke through Stats' wall and harassing his probes leaving him with a slight edge. Archons and warp prisms as Stats kept up his assault but Serral kept holding as his supply kept building. 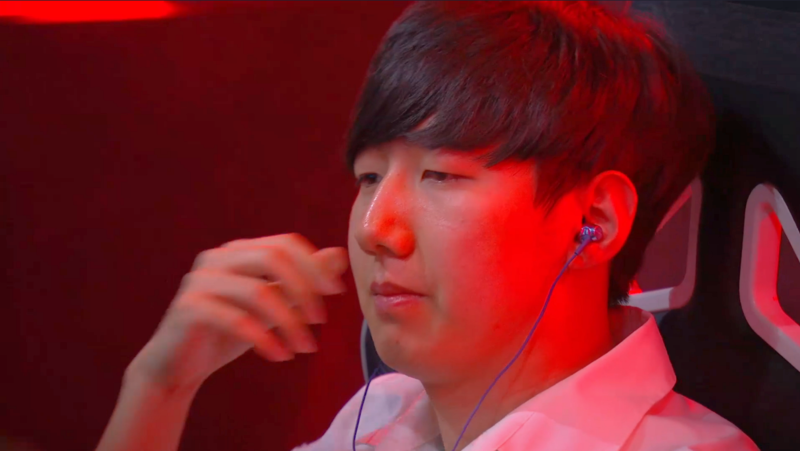 Suicide roaches attacked the Protoss third and the blood bath from Rogue/Serral game 4 was on. Stats hung on despite ravagers and swarm hosts but the immortals got too far from home and surrounded, and Serral dived but had to retreat from his own losses. Locusts took out the last immortal and Serral was up 1-0! Game 2 started as a more standard game, the forte of both these players with their impeccable defenses at least until Stats lost his two adepts to a mistake. Stats lost another Oracle trying to kill the drone line and relentlessly harass Serral's drones, without much effect. Serral dropped a pile of roaches on Stats pylons and got out fast without much damage. Another hydra roach drop pushed back the Immortals and ravaged Stats base as Stats assaulted his own base and Serral held and is up 2-0! Game 3. A bunch of adepts get surrounded just like that. Seven queens lay in wait for 6 Phoenixes and the Zerg just keep growing. Stats manages to use his mobility to his advantage and bruise Serral's economy but the creep by then was almost touching Stats across the map on Dreamcatcher. 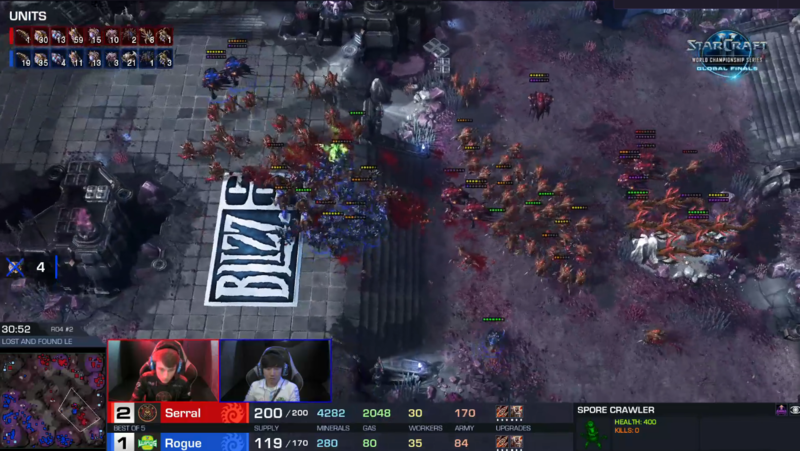 Banelings take a chunk out of Stats as Serral maxes out and Serral attacks the third through the Archons. 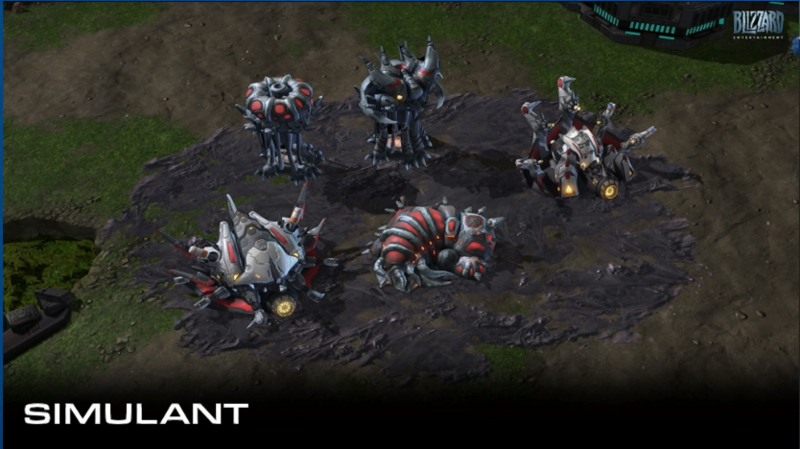 Locusts on the fourth and banelings as Serral keeps assassinating high value units where he can and Stats taps out. Serral is on match point for history! Stats almost got Serral in GSL vs the World, going 4-3 against him in the Finals but today Serral made it look almost easy against the best Koreans of every race. Stargate opening from Stats, another normal game opening from both with emphasis on Scouting. The Oracle and Phoenix killed absolutely nothing on their first foray. Phoenixes try to take out some drones but Queens and spores keep them from having too much effect. Locusts took out Stats new fourth before he could save it and he found the swarm hosts by themselves. Serral's Overlord bomber took out 17 probes while Stats wasnt looking. Storms hit dead on but the locusts coming from behind and Stats pulls off a win! Up 3, on the beautiful ice map of Fracture, Stats goes for a very aggressive build and Dark Shrine. Dark Templars drop into the Zerg main and chase out the Queens to the natural. Taking out roaches and moving back to regen shields. Picking off a roach here and there. Stats moves out with his small army but swarm hosts are already up and waiting at the top of the ramp. Zerglings do a run by on Stats and he charges Stats Army but has to run home for cover. Serral sends his ravagers and hosts to Stats fourth but has to run with Stats in pursuit and Stats sends zealots into sneak attack a base but has to run himself. Stats finds the ravagers in the open and destroys some, storms and Stats gets a second win! 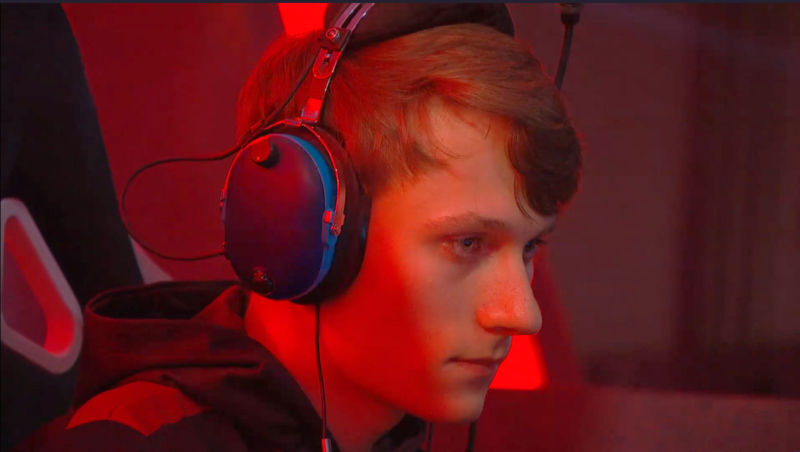 Serral 3 Stats 2, Stats sticks with what's working for him, Phoenizes in the drone line and Serral has his Queens out to slow him down but hes getting quite a few each time. He takes out two Queens and scout the future brood lords, 22 drones dead is hurting, and Stats army in the field chases off too few lings that try for a nexus. 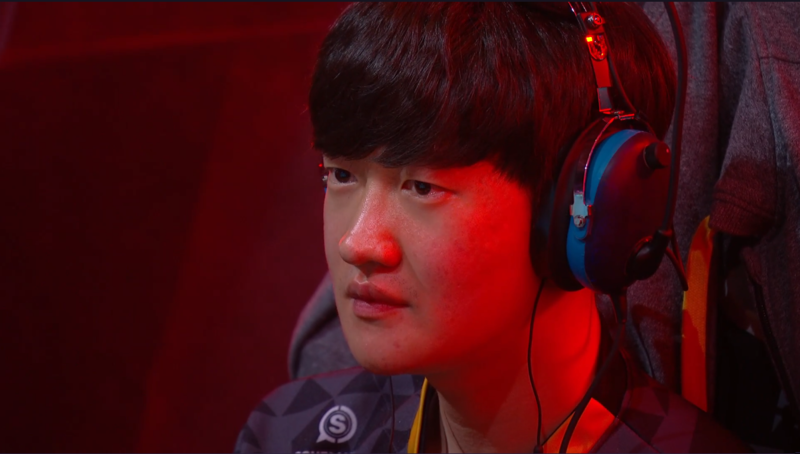 Banelings dont have the effect Serral wanted but the five broodlords are out now with hydras and he keeps harassing with the lings. Hydras attack Stats but Stats is warned and going for Tempests. Warp prism down as Serral moves south again. Storms force Serral back as the Tempests come into view. Corruptors join the Brood Lords and Stats move out with the Tempests and 11 archons. Tempests hit the Brood Lords. Hydra bane harass forces a recall home and Stats moves onto creep pushing the creep. Serral playing cautious takes out another nexus instead of defending but at the last second the mothership cloaks and saves the Nexus. Not ten seconds later the Vipers abduct the Mother Ship and Stats loses a valuable piece. 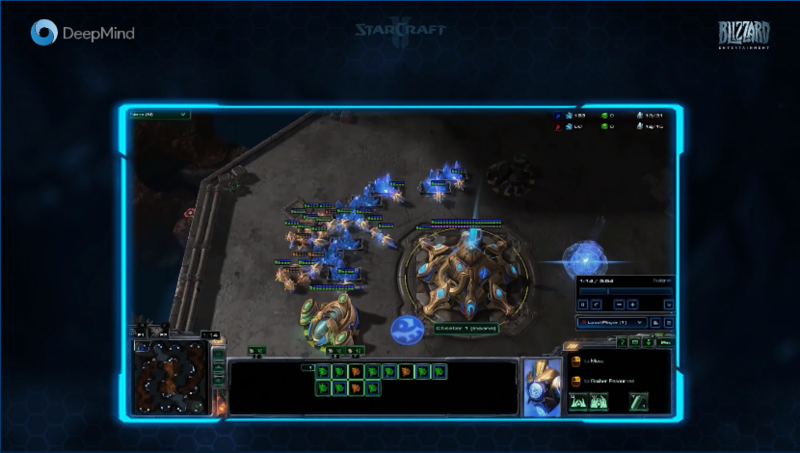 Serral picks off Stats carrier and archons as he goes offense but Stats is base trading! Another nexus down to Corruptors! Serral jumps the carrier Fleet and destroys it ALL. Stats fights with Archons but cant replace any losses for awhile. 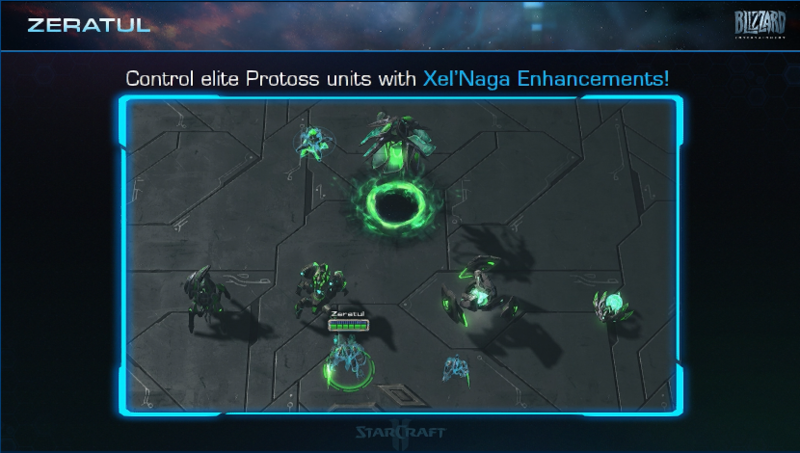 Stats keeps up harass with zealots to keep Serral busy but the banelings destroy another nexus and keep rolling through another probe line! Serral keeps looking to pick off what he can and asa Stats rescues his base wall the Corruptors sneak up from behind but get swatted on the nose and Stats glides away. 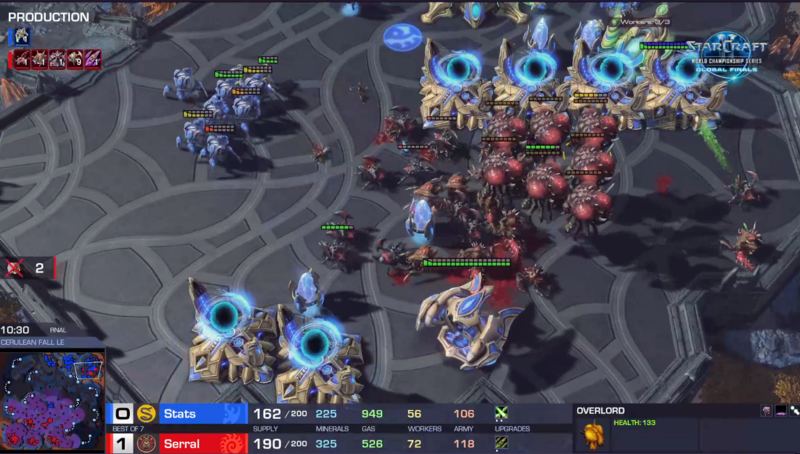 Another nexus goes down and Serral abducts 2 Tempests at Stats last base as he plays the patience game he does so well. Lings get into another base. Lings hit another base. SERRAL PICKS OFF THE MOTHER SHIP! SERRAL DOES IT! 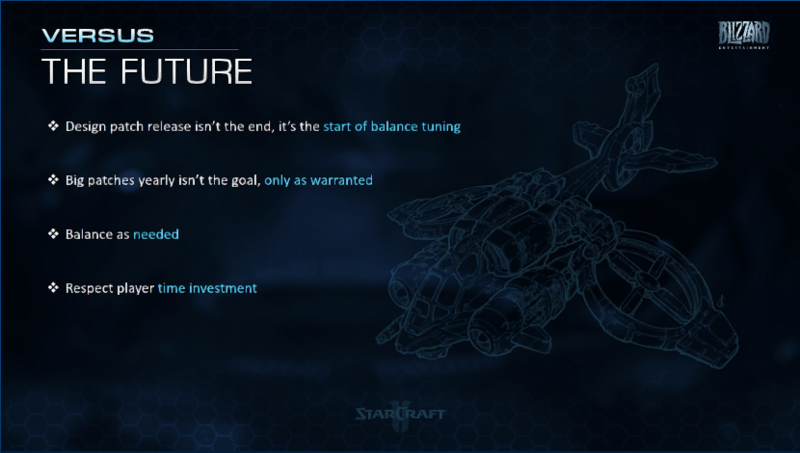 The Starcraft What's Next Panel took place Saturday at BlizzCon and here's some quick highlights from my notes. Larger versions of the images can be seen by using Right Click to new Tab. All images Copyright Blizzard Entertainment 2018. 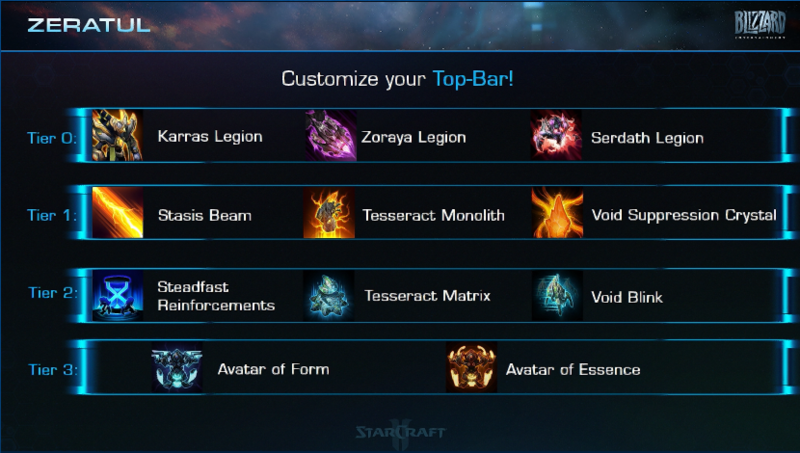 They want to have Starcraft tournaments viewable inside the game client at some point. War Chest IV by the end of the year. 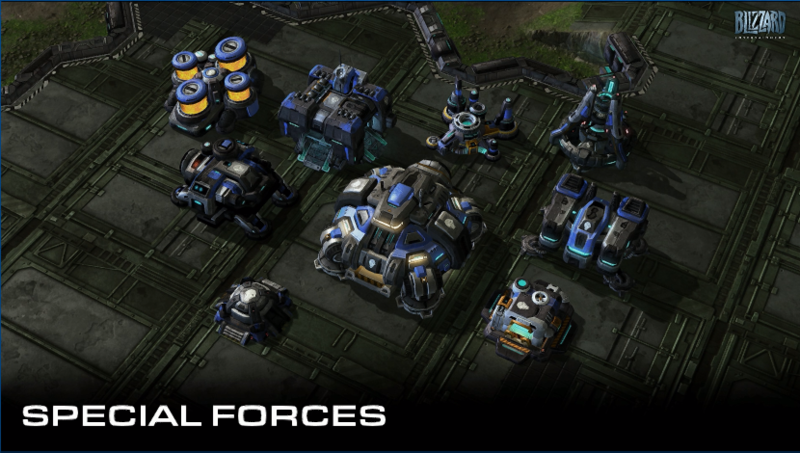 They showed the Special Forces Terran, Forged Protoss and Simulant Zerg Building Skins. Can unlock War Chest rewards by watching Starcraft tournament Live on Twitch. 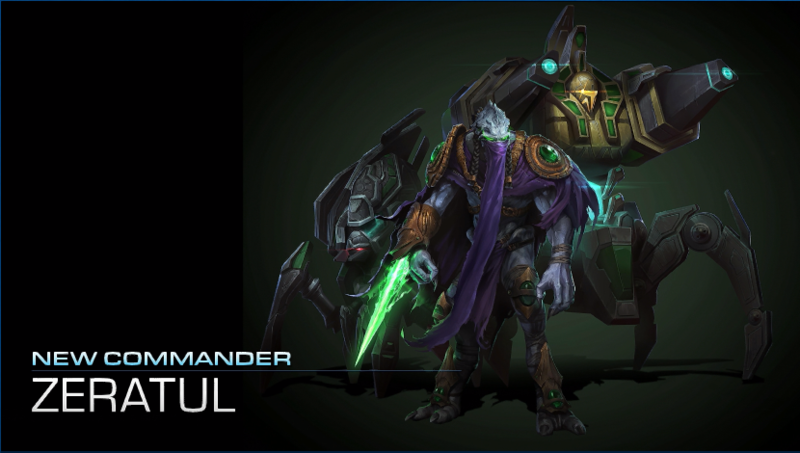 Talked about the design idea behind the new Co-op Commander Zeratul. He is Xel-Naga Influenced in the campaigns so that plays a big role. 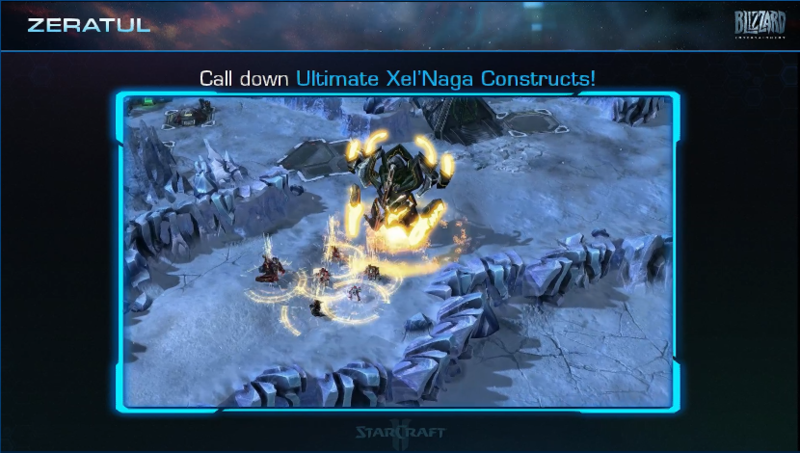 He can call on other units to appear and join him such as Legendary Protoss Legions and Ultimate Xel'Naga Constructs. Xel-Naga cannons can fire up. Went over the last month's balance patch notes again. Deep Mind uses an Emulate human mouse click approach. The team combined approaches from earlier AI vs Atari Games and also AI vs Go because of the nature and complexity of Starcraft. Deep Mind has achieved a "very competitive level, maybe Grand Master." against other AIs the team created for it to play against. 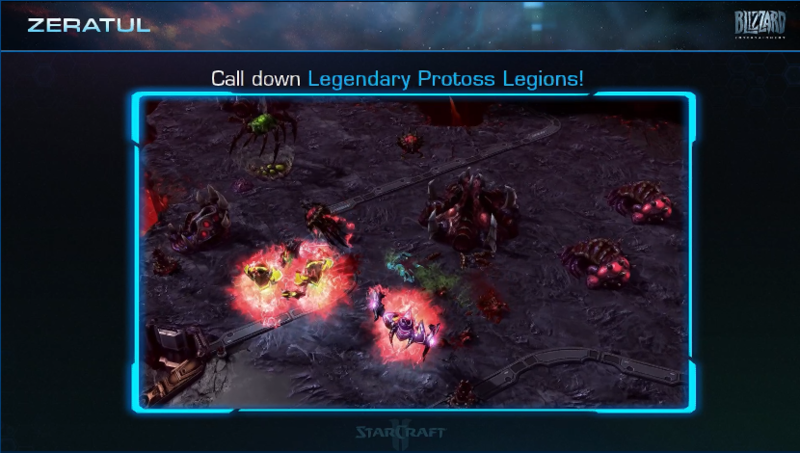 Deep Mind began with Protoss, probe rushing the enemy base and lost. 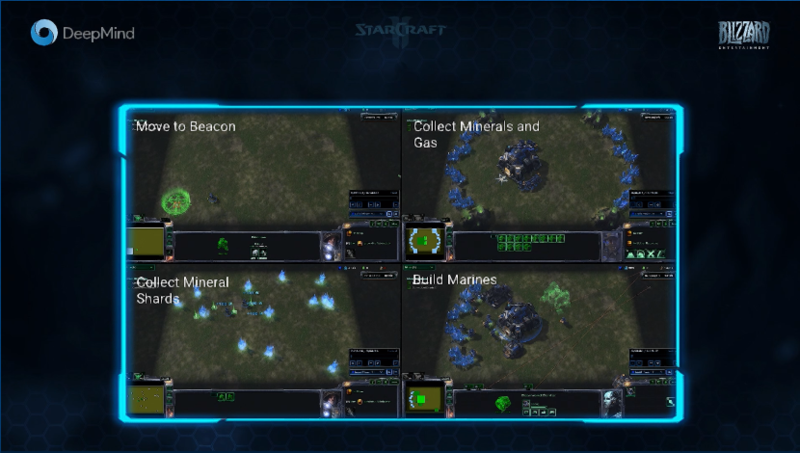 Seeing that, the team (which includes Starcraft amateur players) focused on teaching it to imitate how actual humans play the game, with economies and unit building. The Community has not yet played against Deep Mind. Nova story campaign type stuff? Not really replayable content unlike Co-op. Emphasizing Co-op. War Chest Skin Twitch unlocks requires LIVE views currently. Can play to unlock tiers though. Plans to open source Codes for Deep Mind? Last week open sourced some libraries. Coop plans to make it more brutal? We discuss it but found Commanders are so powerful they overwhelm everything. Trying to find new ways for extreme players to play. What will you do about trolls in Co-op? We should fix, have discussed it. Players are creative though. Zeratul Commander Co-op Models finalized? Should be playable on the floor but will check. Wide screen support? Gives an advantage but Community, give us feedback on it. How many more Coop Commanders should we expect? Running out of lore characters. Don't see an end in sight though. Selendis maybe. Tosh. Can always add new characters to SC2.